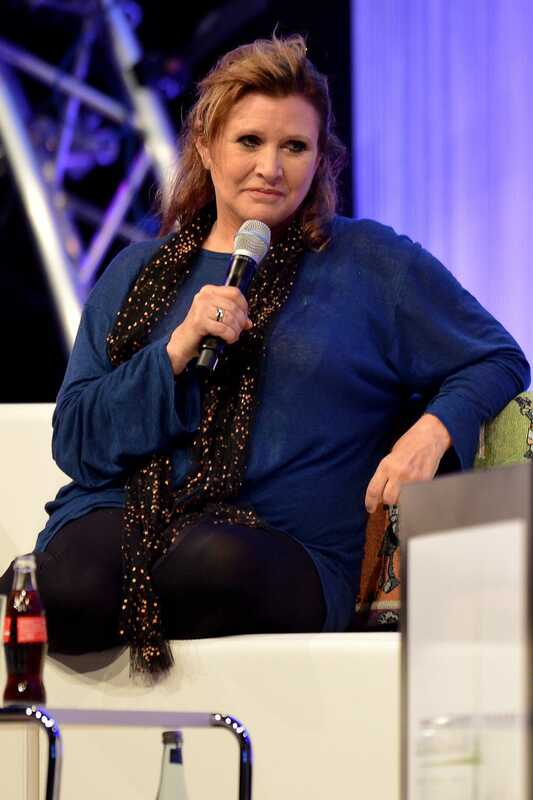 Carrie Fisher, best known for her performance as Princess Leia in the original Star Wars trilogy, attends the Star Wars Celebration in Essen, Germany, on July 27, 2013. Actress Carrie Fisher, known for originating the role of Princess Leia in the Star Wars films, is reportedly in critical condition after suffering a “cardiac episode” during a flight from London to Los Angeles. United Airlines released a statement that said medical personnel met Flight 935 from London on arrival after the crew reported that a passenger was unresponsive. “Our thoughts are with our customer at this time,” the statement read. Officer Alicia Hernandez of LAX's Police Department told the Times that officers responded to Terminal 7 around 12:15 p.m. on a call of a female passenger in cardiac arrest, and that on arrival, they found paramedics performing CPR on the victim. Fisher, who rose to fame as Princess Leia, is the daughter of famous Hollywood couple Debbie Reynolds and Eddie Fisher. She recently published her eighth book, an autobiography, titled The Princess Diarist. Her semi-autobiographical book, Postcards From the Edge, about an actress’s troubled relationship with her mother, was made into a movie starring Meryl Streep and Shirley MacLaine. Please, 2016. You’ve taken so much. Don’t take Princess Leia from us, too.